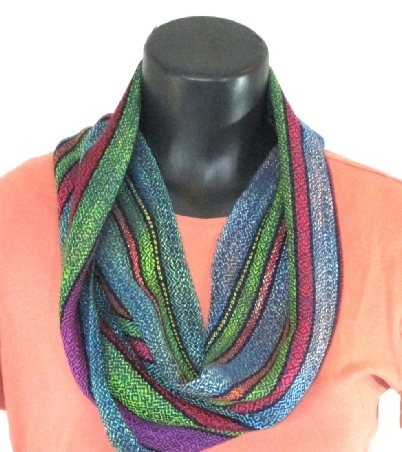 This soft, light weight year-round scarf is made of tencel, cotton, silk, and rayon. 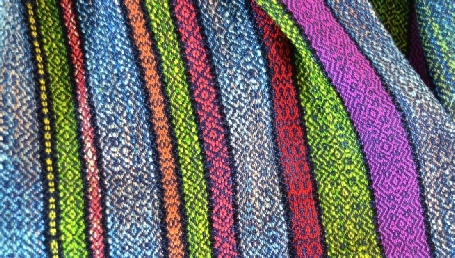 The warp yarn for this scarf (the part put on my loom) was hand-dyed (“warp-painted”) prior to dressing the loom. 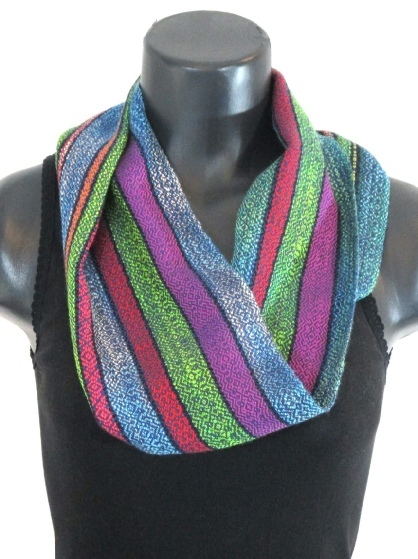 This allowed me to “break the grid” of weaving, by changing colors along many of the lengthwise stripes. 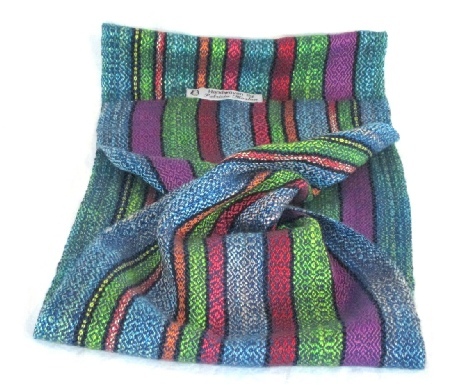 I then wove this scarf in a complex twill design, using navy silk yarn. It measures 9.5” x 34”. 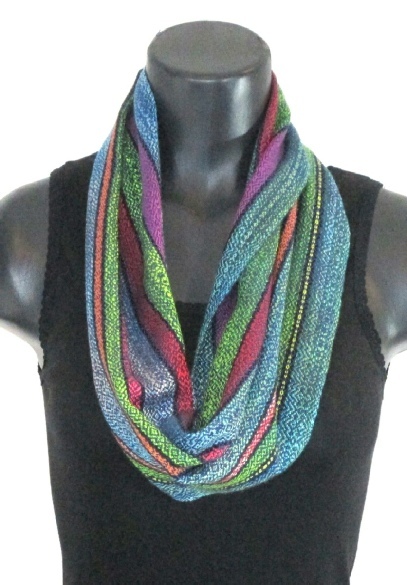 The mobius twist makes this an easy to wear design: just toss over your head and go; no fuss!